Thank you so much for the wonderful trip you organised!! Everything was on time and our guides (especially Sam in Mandalay) were exceptional. Their knowledge of the local area, the history and culture was amazing! Their friendliness was wonderful and it was lovely hearing about the local life! Our drivers were great. The food in the hotels of course varied from place to place!! But was overall good. In regard to the hotels – of course they were all of different standards! The eco lodge in Inle was beautiful and in a great position. All except our hotel in Mruak U were very clean. The bathroom was terrible. Very dirty walls and a blocked drain, so water went everywhere! I shall be contacting them to make them aware of the problem. The staff everywhere were wonderful. I loved the way the guides would take us to the markets and the workshops but there was no pressure to buy anything. And of course they came up with ways to occasionally make the itinerary work better! We were very glad that were able to take the car back to Sittwe from Yangon rather than the extra long boat trip leaving so early in the morning! And it was lovely to see the changing countryside. All in all a wonderful time and I don’t think there is anything I would change. Yangon Private Tour - Discover the golden city of Yangon, the indispensable destination of Myanmar tourism. Take a Yangon private tour with a local guide to gain insight into Myanmar's culture, politics and people. Contact us today to get DEAL and FREE QUOTE ! Bagan Tour: Find a Bagan Tour Packages by comparing prices and reading Bagan tour highlight with Myanmar Tours. Build your own Bagan vacation. Bundle flight + hotel & save your money. Book your Bagan Trip today for OUR BEST PRICE guarantee. Book your tickets online for enjoy Mandalay Holiday, Myanmar: See alot of Mandalay Tour Packages, comparing tour price, destinations highlight with Myanmar Tours. Every holiday is tailor made. Call us NOW to get agent advice, to customise your trip, or to book your perfect tailormade holiday today! 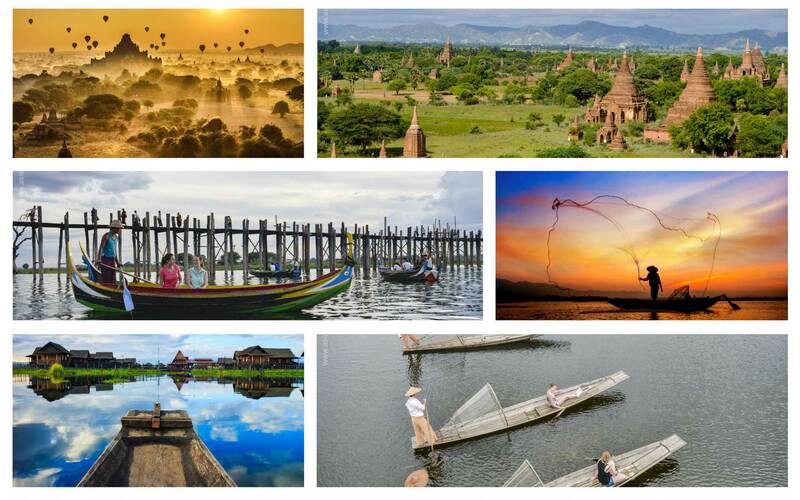 Inle Lake Tour 2019 - Best Myanmar tours and vacation selected by Myanmar Tours. Discovery the beauty of Inle Lake with our friendly tourist guide. SAVE! You are finding a Ngapali Tour Packages? See One of Myanmar's star attractions with deserted white sand beach and extensive coral reefs making for some excellent diving. Find the perfect Ngapali tour package on Myanmar Tours NOW.